Every action an apartment takes with a current resident or prospective renter has meaning to it. They all say something about the apartment and ultimately define the apartment. It’s hard to control how every property manager, leasing agent and community manager communicate, but there is one easy way to make sure that your student-focused apartment is communicating the right message to tenants and potential future tenants alike: social media. In today’s world, Instagram is the center of attention for college students and a great place to show off the message and space your team has so carefully crafted and few companies are doing a better job of that than Aspen Springfield. When you visit the Aspen Springfield Instagram page you’ll see tons of students enjoying the wide array of amenities and events the apartment complex offers. From featuring students and their creative decoration ideas to congratulating graduating residents or just showing off their free printing, Aspen Springfield just seems to get how to connect with students on social media. We chatted with their marketing department to better understand their strategic decision to start featuring students on their Instagram page, and how they maintain a strong community at Aspen Springfield. Aspen Springfield’s social media doesn’t just strengthen their word-of-mouth marketing. Perez notes that the booming Instagram page has allowed management to have stronger relationships with the residents. 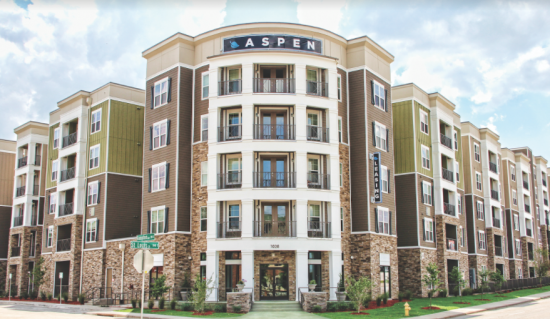 It’s become standard for management to know at least the first name of almost all 600 residents at Aspen, which has been able to happen because students are sending content or tagging the property on Instagram and because of their resident events. But, outreach doesn’t stop there. Aspen Springfield visits the sororities and fraternities during their recruitment to drop off toiletries, snacks and other goodies any college kid loves. On top of this, the apartment complex has started doing FaceTime tours so parents and/or students from out of town can still see the unit before they sign for it. At the end of the day, Aspen Springfield is simply working to make sure their community knows they care about them. They’ve conquered the social media game and have excelled in community outreach, all with the sole purpose of proving that their apartment complex is an experience a student needs to have. So what’s their advice to other property management groups? Perez says, “Find out what’s important to you and your property.” If amenities matter to you most, showcase them. If you have a stellar community and great events, post it. At Aspen Springfield, they want their residents to know they care, so they’ve plastered that message on Instagram. But before you dive into the social media world, make sure you have someone to continuously monitor it. It’s inevitable that students will “slide into your DMs” for maintenance requests and other questions, and it’s crucial you respond. 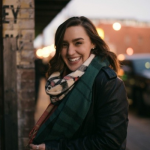 Karina Laufenberg is a Digital Marketing Coordinator at Rent College Pads. When she’s not working you can find her at home hanging out with her cat, baking and bingeing the latest docuseries on Netflix.